Coloured Concrete Finishes are the result of blending high strength iron oxides, CCS powdered pigments are added directly to the concrete truck’s mixing bowl where the oxide colour is dispersed deep into the concrete. Once mixed, the coloured concrete is delivered to site. It is handled in a similar way to plain grey concrete – giving you a natural looking colour that is both UV and weather resistant. 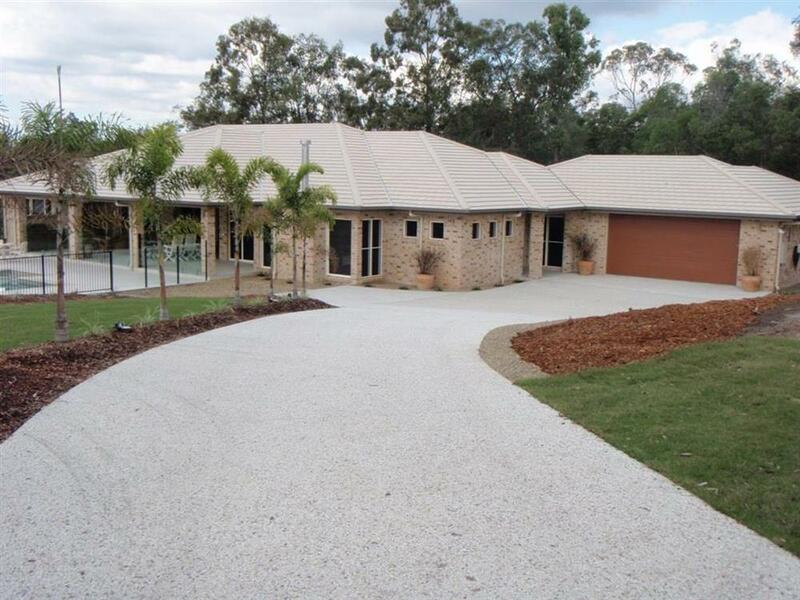 Freshly poured full depth coloured decorative concrete driveways are ideal for applying texture. Wet concrete can have hand created textures such as brooming and coving applied. For the more adventurous, artistic imprints using anything from palm fronds to handprints are a great addition. Rock salt can also be used to dramatic effect resulting in a randomised texture and tool joints can be used to create the appearance of large pavers.